OTT Technology: How will it evolve? There is no doubt that television is an expensive business, and not just making it but distributing it as well. The BBC, for example, spends 6% of its licence fee income — some £210 million every year — simply on distributing content. This makes OTT Solutions not only attractive in terms of giving viewers what they want for operators, but also in saving costs. The sort of money that can be at stake here was illustrated at the start of 2017 when months of tense negotiations between two media giants, Discovery and Sky, erupted into an all-out and very public war. Discovery accused Sky of using its dominant market position in the UK and elsewhere to force down prices and pay less for its portfolio than a decade ago. This was despite a 20% increase in viewer share for its 12 channels and 30% increase in content investment. It threatened to pull its channels. Sky meanwhile countered somewhat waspishly that: “[Discovery] asked the Sky Group to pay close to £1 billion ($1.25 billion) for their portfolio of channels, many of which are in decline,” (a figure Discovery denied). Consumers are becoming more and more used to receiving content via OTT routes. This is thanks to the steadily ramping penetration of the likes of Netflix on the one hand, improved ultra-fast broadband services, and a brace of devices, from integrated smart TVs to media player dongles that plug into HDMI ports on the other. Does it start making sense for broadcasters to think about switching to OTT technology? The landscape is changing all the time as consumer attitudes shift and technology evolves. When the BBC Trust announced that it was moving its youth-oriented channel BBC3 online in June 2015, there was a degree of outrage. Now, it’s hard to see the same level of upset and protest occurring, especially for a channel aimed at Millennials. Partly this is because it has been a success. Within a few months of switching off in February 2016, the new online BBC3 had almost matched its previous highest viewing figures with over 3 million downloads of its abduction drama Thirteen. This beat the channel’s broadcast record holder, an episode of the Doctor Who spin-off Torchwood, which reached 2.5 million viewers. Of course, this isn’t quite a like for like comparison, and there are downsides. As the Guardian reports, the BBC saw a drop of almost 20% in younger viewers to its TV channels in the six months after shutting the channel, according to its commercial rivals. But iPlayer requests for its content also leapt from 4% to 11% in the same period. The most significant number though, and the one that has caught the attention of other operators around the globe, is £30m, which is the yearly amount that the BBC Trust says it is saving by the move. So, money saved and figures improved: in this case you would have to argue that moving to OTT has been a successful choice. Though, to be fair, and as IBC365 points out, not all broadcasters have such a well-developed platform as the iPlayer to exploit. Nor are they able to cross promote OTT content on their existing media channels quite so assiduously. The IBC365 article also contains some fascinating data from a recent Deutsche Bank report on exactly when it makes sense for operators to switch and how that tipping point is changing. 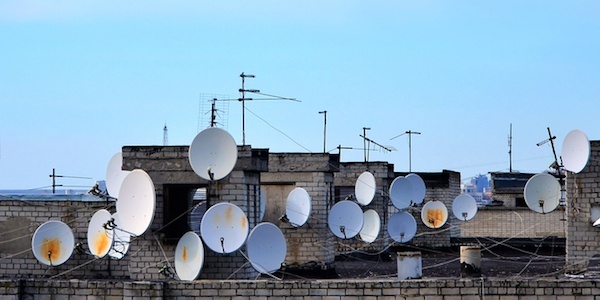 It points out that the per stream costs of OTT mean that any channel with more than 125,000 daily viewers will find OTT comparable to satellite in 2017, and that currently describes over 5000 of Europe’s satellite distributed TV channels; some 77% of the total. What’s more, the situation is changing rapidly. Those streaming costs are falling at the rate of 15-20% per year as network architectures evolve. This means that that same threshold figure will have risen to around 250,000 daily viewers by 2020. And that covers 5700 of Europe’s channels, leaving just the very top 1000 that will find it more economical to be distributed by satellite in three years’ time. No-one is suggesting that the major Pay-TV platforms should all switch online, far from it. Satellite itself is evolving all the time: Sky in the UK is using it to transmit Ultra HD; it is increasingly being thought of as a viable route for OTT services; and competition is fierce and prices variable as a result. But for operators thinking of heading online and looking to emulate the success and associated cost-savings of a BBC3, the mathematics look to be favoring OTT Solutions more with every year.